An alternative way to leverage liquid money for a worst case scenario in retirement is something known as Asset Based Long Term Care Insurance. It is fairly new and gives you more flexibility by merging life insurance with long term care insurance. You are 85 years old and have a catastrophic event where you are forced to go into a nursing home. Upon entering a facility the administrator informs you and your loved ones that the stay will cost you $50,000 a year. You go to the bank and withdraw $50,000 to pay for your stay. Year two comes along and, again, you have to pay the $50,000 to the nursing home. Year three comes around and this time you have to sell the motor home you had so many memories in to pay for the care. Credit: morguFileWhat you could have done is at age 65 taken the $50,000 and put it into an asset based plan to receive a benefit for long term care of $250,000 (Just an example). The principle is the same in that the earlier you get it the better the benefit will be. Continuing on with this example you take $50,000 out of a CD that is earning you little and leverage it with a benefit that amounts to $250,000. The benefit will pay $3,472 a month for 6 years for elder care and can also be used for home health care. The price and benefit does not change because it is an asset based plan and the numbers do not change like in a traditional plan for support care. This is an example using $50,000 but you may choose any amount to start. There is an option to pay in increments instead of the lump sum as well. I have seen clients fund this in 1, 3, 5, 7 and up to 10 years so there are other options to use depending on your situation. Now let’s assume you never use the benefit and pass away at the age of 90, living a long and prosperous life. Your beneficiary will receive a death benefit of $75,000 (Just an example of a case I had recently) giving you a life insurance component in the plan. This is where the plan merges life insurance with long term care insurance. Now let's say that you have not used the benefit and decide that putting food on the table is more important than long term care. You are able to surrender the policy and get 100% of your premium back. Or if you decide to keep the policy in force you are able to get a loan with the cash value in the policy. This is one of the most flexible plans to use for a long term care stay and is perfect if you have money in savings not earning you anything. Look at taking some of that money and using it to leverage for a benefit if you need it in retirement. Your premiums will never increase like traditional policies and if you don’t use the benefit you have the option of getting cash back. This plan also works with a 1035 exchange if you have cash value in an old whole life policy. Another thing to keep in mind is that the health qualifications are significantly less. You still have to qualify but may do so over the phone instead of having a nurse come to the home for a physical. Credit: splitshireTake a look how this type of plan could fit your situation. Remember it is an asset based plan that merges life insurance with long term care insurance. You have money leveraged if you are incapacitated, a death benefit for your loved ones, and are able to get 100% of the cash back or a loan if need be. With a traditional plan you are not able to get cash back and the premium could, and mostly does, go up. With this type of plan there is plenty of flexibility for you and your loved ones. The only downside is that it cannot be used for a state partnership insurance plan. This type of plan is not for everyone but good for those with liquid money that is not working for them. It's one of the best options to cover you in the case of a need for support care services. 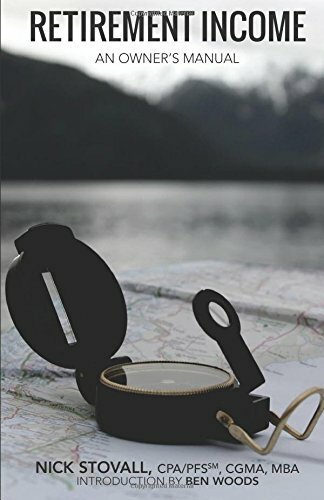 Good basic book on retirement income. 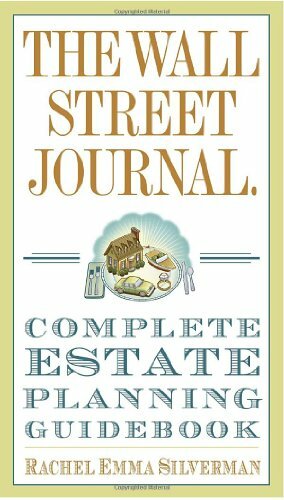 Learn all kinds of estate planning basics from this book. Have been using it as a reference for a while. Rachel Emma Silverman The Wall Street Journal Completet Estate-Planning Guidebook. New York, NY: Crown Business, 2011.